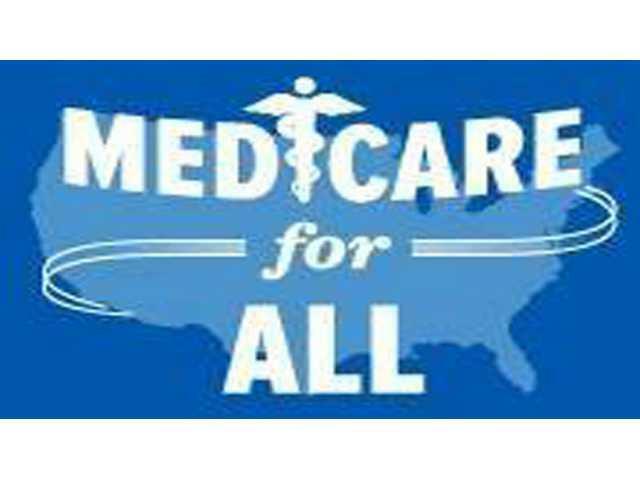 POSTED September 27, 2017 2:06 p.m.
VIROQUA - An educational ‘Medicare for All’ event will take place on Saturday, Sept. 30, 2 p.m. at the American Legion Hall, 120 N. Rusk Ave., Viroqua. Participants can learn what they can do while participating in a public conversation about replacing our complex health care delivery system for a single-payer, improved, Medicare For All. The speaker will be Dr. Melissa Stiles, Wisconsin Physicians for a National Health Plan leader, and Professor of Family Medicine at UW Madison. There will be an open forum, with various local speakers with experience as health care providers. Co-sponsors of the event are the Democratic Socialist Club of Viroqua; the InternationalAlliance of Theatrical Stage Employees Local 141,Winona; Paul Bergquist, M.D., VMH Family Practice and Complementary Medicine Clinic; Independent Living Resources of La Crosse; Pax Christi USA. ; St. Mary's Parish of Viroqua; Viroqua Healing Arts Center; Facing Forward Vernon; and Ken's Karetaking. For more information, contact the Wisconsin Health Justice Campaign at wisconsinhealthjusticecampaign@gmail.com, or 608 632-2243. There will be a social time after the event, with food, coffee, tea, and beer will be available for purchase.